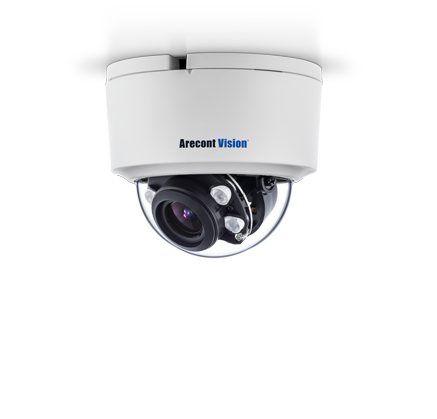 Contera™ by Arecont Vision® introduces a brand-new lineup of high-end megapixel (MP) IP cameras at an affordable price point. Contera brings in new advanced technologies such as H.265 compression with our brand new SNAPstream+™ bandwidth reduction technology, Smart IR LEDs with variable illumination, Enhanced WDR™ wide dynamic range up to 120dB, and an onboard storage capacity up to 256GB. 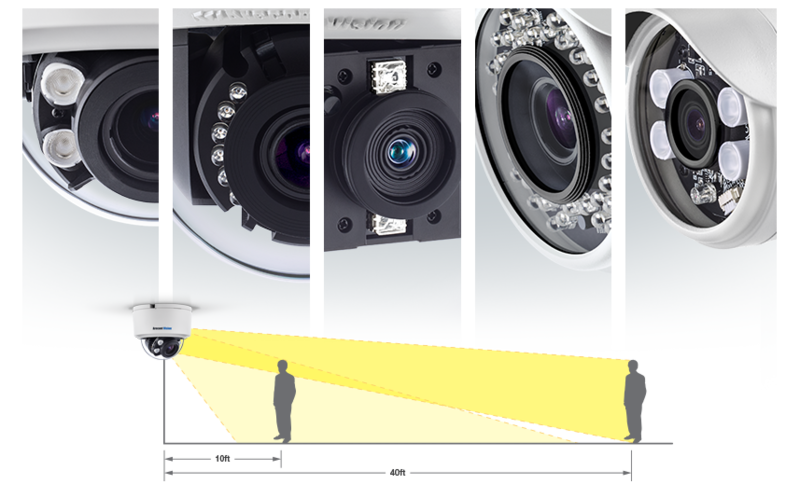 New programmable features such as Defog technology can further enhance the quality of raw megapixel surveillance footage. 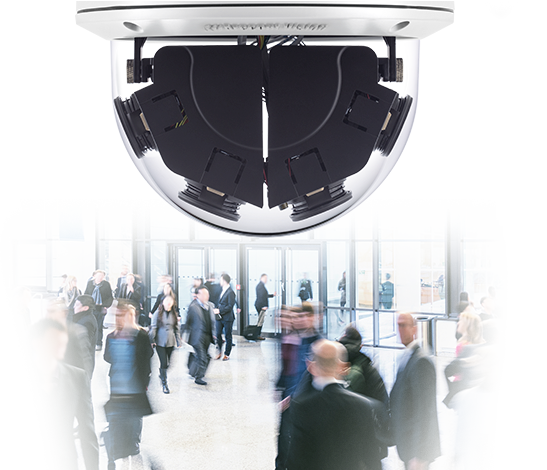 ConteraIP cameras come in five distinct body styles to cover most project solution needs, including our unique installer-friendly dome housing design with the Contera Outdoor Dome, first introduced in our MegaDome® camera line. ConteraIP cameras come with a choice of 1080p and 5MP resolutions at a full 30fps for all single sensor models, and 8MP or 20MP resolution with our 180°-view Contera Panoramic. 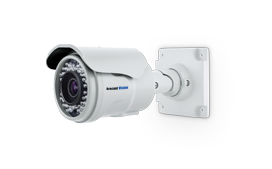 Our affordable 180°-view panoramic features IR LEDs, NightView, and Enhanced WDR, in an IK-10/IP66 outdoor-ready housing. Four full-sized sensors create an almost seemless 8 or 20MP panoramic view. 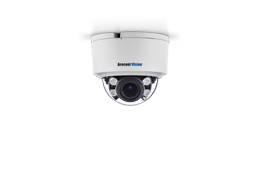 Loaded with features including Smart IR, NightView, Enhanced WDR, and CorridorView, with a motorized remote focus/zoom P-iris lens. All of this inside an installer-friendly, IK-10/IP66 outdoor-ready housing. 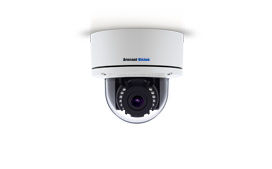 This small-footprint dome features Smart IR, NightView, Enhanced WDR, and CorridorView, with a motorized remote focus/zoom lens. A great fit for typical discrete indoor surveillance solutions where a dome setup is ideal. 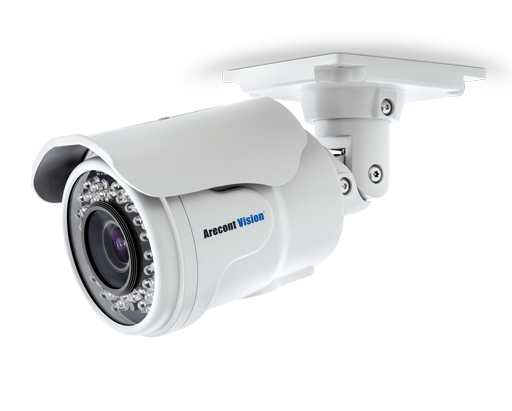 Loaded with features including Smart IR, NightView, Enhanced WDR, and CorridorView, with a motorized remote focus/zoom P-iris lens. All of this inside an IK-10/IP66 outdoor-ready housing. This small-footprint bullet features Smart IR, NightView, Enhanced WDR, and CorridorView, and a varifocal lens in an IK-10/IP66 outdoor-ready housing. Our lowest-cost bullet-style solution. 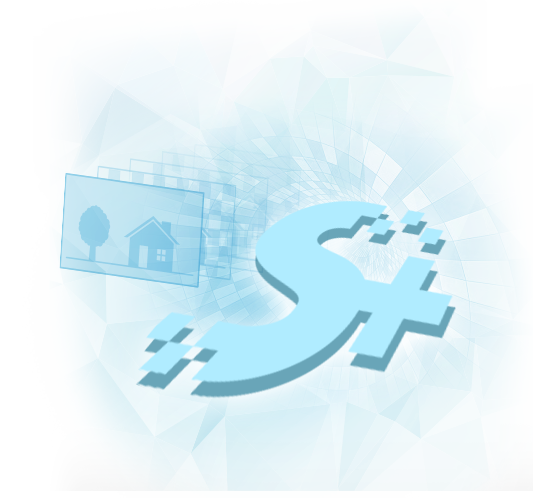 New Features Available First on Contera™. 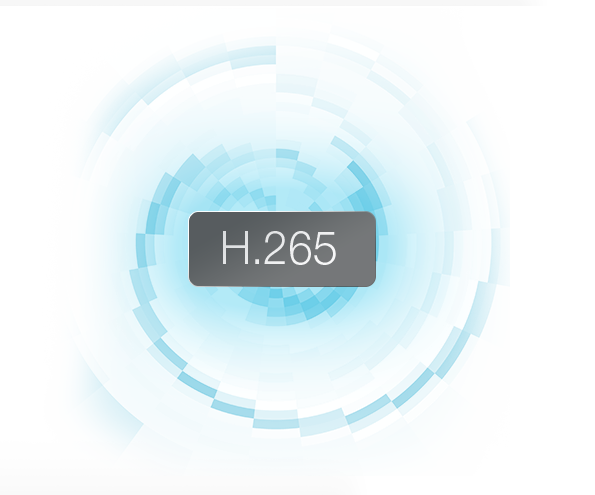 The Contera line of IP cameras feature a triple encoder with H.265, H.264, and MJPEG encodings. This makes way for 30fps across all Contera camera models including the 4-sensor 180°-view Contera Panoramic, more streaming options with higher frame rates, and other performance benefits. An improvment on our already excellent SNAPstream™ technology, or Smart Noise Adaptation and Processing, the new SNAPstream+™ further reduces bandwidth without sacrificing image quality when coupled with H.265 compression. This breakthrough technology adapts to changes in the scene on the fly, and only pushes through necessary information. ConteraIP cameras do not require excessive bandwidth as a result, despite the outstanding HD video delivered. 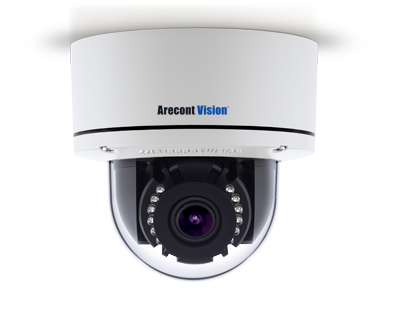 Every ConteraIP camera model features IR LED illumination, introducing Smart IR and panoramic-view IR options to the Arecont Vision megapixel camera family. Smart IR illumination with variable illumination ensures that IR light is evenly disbursed up to 66ft (20m) for scenes with low or no ambient light. Since the distance of objects in a scene and the field of view can vary depending on the use case, the flexibility of a Smart IR illuminator provides better control over lighting in low light conditions. In addition, the Contera Panoramic features IR LEDs for each of it’s four sensors for 180° illumination. For applications with strong backlighting or reflections from wet or shiny flooring Enhanced WDR™ (wide dynamic range) technology is available on all ConteraIP camera models. All ConteraIP cameras deliver an amazing dynamic range of up to 120db at full resolution and maximum frame rates producing clear images in challenging lighting conditions by maximizing the amount of detail in both bright and dark areas of a scene. NightView™ for 1080p and 5MP. For challenging low-light applications, ConteraIP cameras offer best-in-class light sensitivity that capture details in very low-light. NightView for ConteraIP cameras allows color imaging in near complete darkness – performing a cut above other low-light methods – and s available in 1080p, 5, 8, and 20MP resolutions with frame rates up to 30fps. 5, 8, and 20MP at 30fps. Thanks to H.265 compression and SNAPstream+, all ConteraIP cameras are capable of operating at frame rates up to 30fps, including the quad-sensor Contera Panoramics running at both 8MP and 20MP resolutions. Multi-streaming options are also favorable, yielding decent dual-streaming and triple-streaming frame rates. 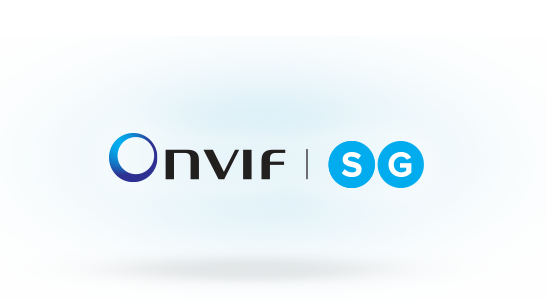 Arecont Vision® is a leader in promoting industry standards, and the ConteraIP camera family meets conformance standards for profiles “S and G”. A Camera for Every Solution. Perfect for situations requiring more “eyes” with less cameras. Our low-cost 180°-view panoramic features four full-sized sensors to create an almost seemless 8 or 20MP panoramic view at frame rates up to 30fps. Built-in IR LEDs for each sensor, NightView, and optional Enhanced WDR, come standard in an IK-10/IP66 outdoor-ready housing. This single-sensor dome camera is ready for any environment. 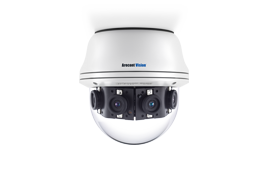 The Contera Outdoor Dome is available in 1080p or 5MP resolutions with frame rates up to 30fps, and comes loaded with features including Smart IR, NightView, Enhanced WDR, and CorridorView, with a motorized remote focus/zoom P-iris lens. All of this inside an installer-friendly, IK-10/IP66 rated housing. Powerful yet small, the Contera Indoor Dome delivers frame rates up to 30fps, and is available in 1080p and 5MP resolutions. 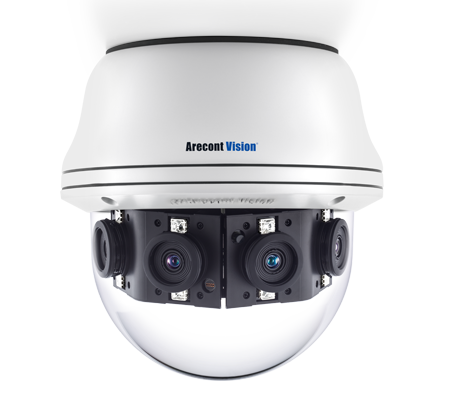 This small-footprint dome features Smart IR, NightView, Enhanced WDR, and CorridorView, with a motorized remote focus/zoom lens. A great fit for typical discrete indoor surveillance solutions where a dome setup is ideal. The Contera Bullet delivers frame rates up to 30fps, and is available in 1080p and 5MP resolutions. Contera Bullet is loaded with features, including Smart IR, NightView, Enhanced WDR, and CorridorView, with a motorized remote focus/zoom P-iris lens. The bullet-style housing is outdoor-ready IK-10/IP66 rated. The Contera Micro Bullet delivers frame rates up to 30fps, and is available in 1080p and 5MP resolutions. 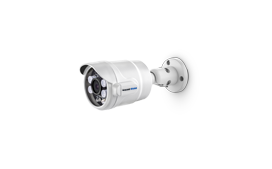 This small-footprint bullet features Smart IR, NightView, Enhanced WDR, and CorridorView, with a varifocal lens in an IK-10/IP66 outdoor-ready housing. 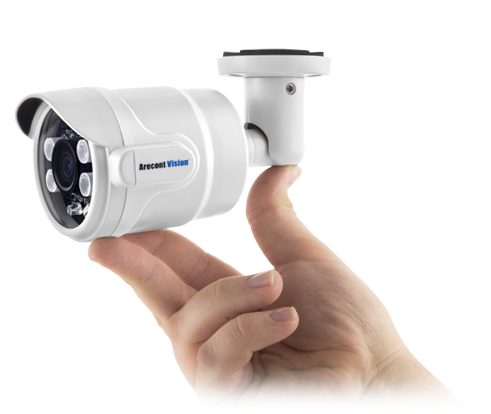 This is Arecont Vision’s lowest-cost bullet-style offering.